Aprons have been on my mind lately. Maybe it's because I've got an apron that has been cut out for over 6 months, but still hasn't been sewn together. Yeah....I like to put things off!! Twelve Crafts Till Christmas shared this adorable Little Chef's Apron Tutorial.....so stinkin' cute!! How fun is this Butterfly Apron from Sew Super Sweet?! 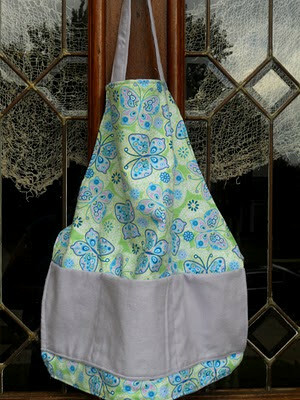 Full of Great Ideas shared some cute Easy Low Sew Aprons! 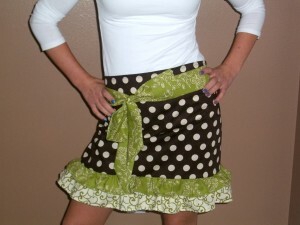 And I loved this Flirty Cafe Apron from Just Sew Sassy! Feel free to grab a 'Featured' button....you can now find it in my menu bar!! Now let's get this linky party started!! **link to specific blog post, not blog home page! **I will delete any non-sewing links....don't make me be a meanie! **visit a few of the links and leave some comment love! **If you come back and don't see your link, read through the rules again and give it another try! Flirty cafe apron is awesome! Thank you so much for the fun feature this morning, you made my day! I love your site and Sew Cute Tuesday was one of the first parties I started sharing on, so this is a huge compliment! Thanks again! Nothing like a good Apron to get you motivated for Holiday Baking. 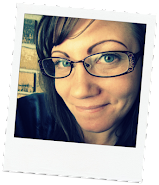 Thanks for sharing, and hosting such a great linky party. I'm stalking...errr 'following' you now, feel free to come on over to http://www.choochmagooz.blogspot.com for a virtual cupcake and tea!